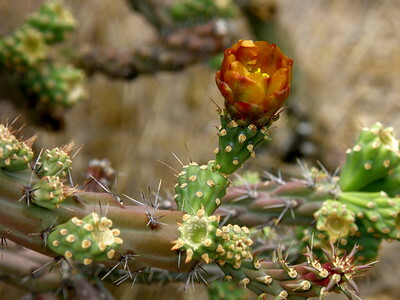 In May they bloom...the desert is filled with color!! 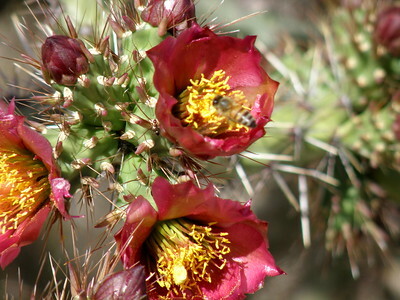 The bees are busy in the Sonoran desert when the cacti are blooming ! The raw honey from this area is delish!!! This bloom is the last one left...the desert creatures love to eat them !! 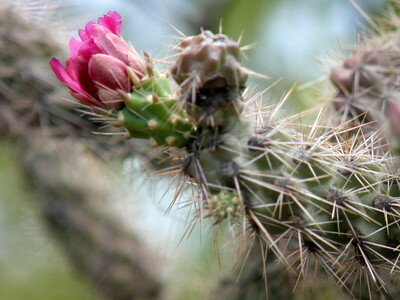 Just look at those stickers protecting that blossom !! 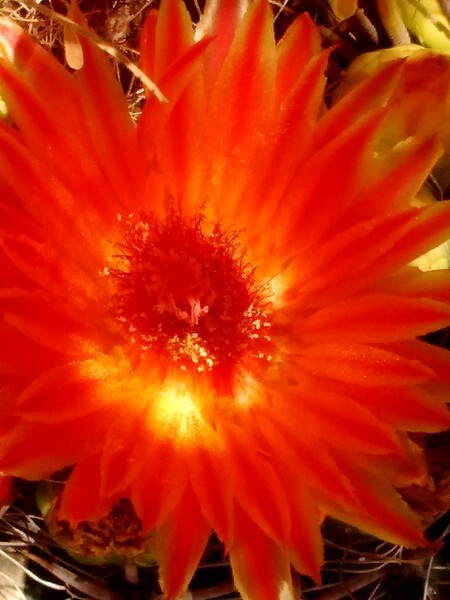 Barrel cactus with gorgeous buds and glowing blossoms. 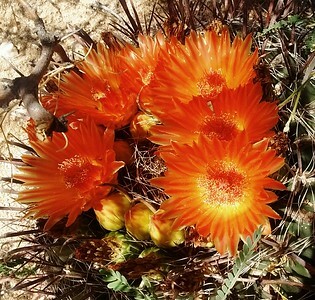 Usually in May ,if the winter rains were good, we are treated to these beauties! 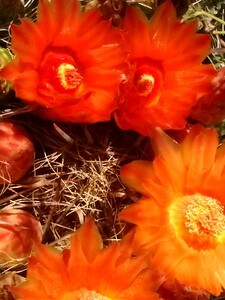 They have amazing colors,shapes and sizes of blossoms. 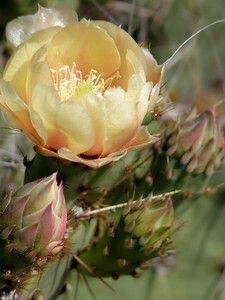 These were found in Pima County,Arizona. 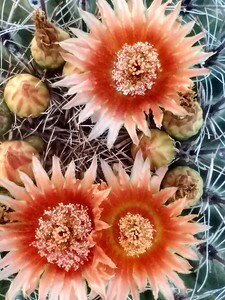 The buds on the barrel cactus form a circle.! 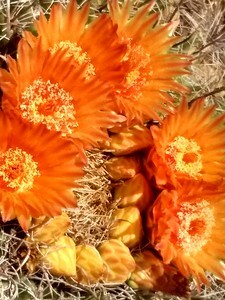 Blossoms in their various shapes and fazes of bloom.